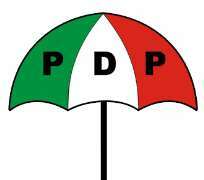 The Rivers State Chapter of the Peoples Democratic Party, PDP, says it has uncovered a further plot by the Rivers State government to disparage and castigate President Goodluck Jonathan and his wife, Dame (Dr) Patience Jonathan ahead of the burial of Madam Charity Fyneface Oba which holds this weekend. According to a statement signed by the Special Adviser on Media to the state party chairman, Jerry Needam there are documents being syndicated to some section of the media alleging that Late Madam Charity Oba (aka Mama Sisi), and mother of President Goodluck Jonathan's wife, Dame (Dr) Patience Jonathan died out of negligence. This document purportedly transmitted through the office of the State Commissioner for Information and Communications, the party notes is false, baseless and malicious, and has no other aim than to ridicule the First Lady, Dame Patience Jonathan. The party regrets that the Amaechi administration could descend so low as to cajole and politicize the death of an innocent elderly mother of the wife of the President who was involved in a ghastly motor accident just to get at his political opponents and perceived enemies. The party wishes to remind Gov Amaechi and his political aides that talking ill of the dead still remains a taboo and carries a dangerous repercussion. While stressing the inevitability of natural disasters in life among which death is one, whether by accident or any other means, the PDP maintains that every living soul must leave this earth one day, one way or the other including the castigating government officials. It therefore imploys all, particularly the news media to discountenance such evil and wicked document meant to hoodwink them into publishing falsehood and arrant nonsense. In another development, the State chapter of the PDP has welcomed as a good development the report of Gov Amaechi's directive to all his commissioners and council chairmen to register with the All Progressives Congress, APC. The party through a statement issued and signed by Jerry Needam, Special Adviser on Media to the State Chairman, Bro Felix Obuah said the decision was long expected, stressing that now the battle line has been clearly drawn it has become easier to confirm who own the land and have the people's mandate in future elections. The party wishes Gov Amaechi and his allies well in their new found love, the APC but reassures the Rivers people of a secure future and brighter prospects in the PDP led by President Goodluck Jonathan at the national level.